As a follow-up to my earlier post on academic searches on the Mac, here’s an easy way to replicate most of those custom searches on iOS. The key app is Drafts, which recently received a massive update. Among many other things (including full integration with Dropbox), Drafts now enables “url actions.” Now you can easily create saved searches that hook into frequently used sites like Google Scholar. After tapping away, you select an action to perform on the text. The app comes pre-loaded with a number of common actions, including an iOS sharing sheet, Markdown preview, and passage to popular iOS apple like Byword, Due, and Fantastical (if already installed). 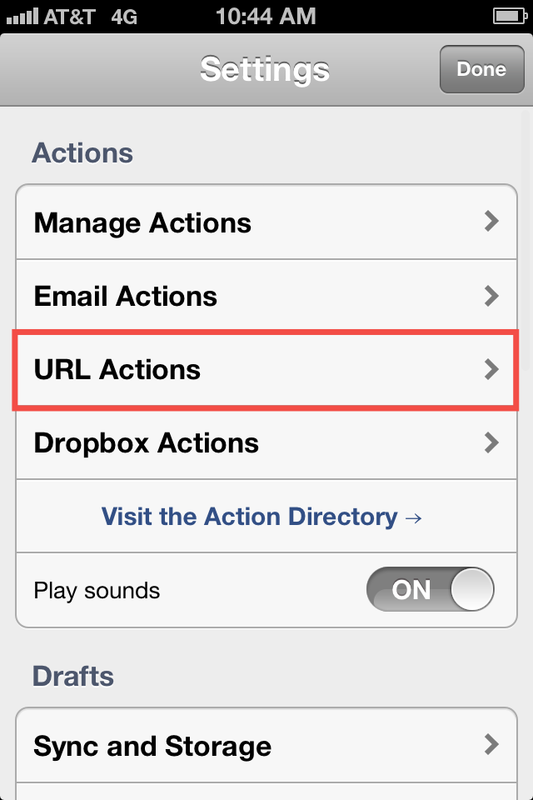 Next, select “URL Actions,” and tap the “+” button to add a new action. The basic principle is the same as Launchbar or Alfred on the Mac. Say you want to create a custom search for Google Scholar. First, add “Google Scholar” in the Name field. 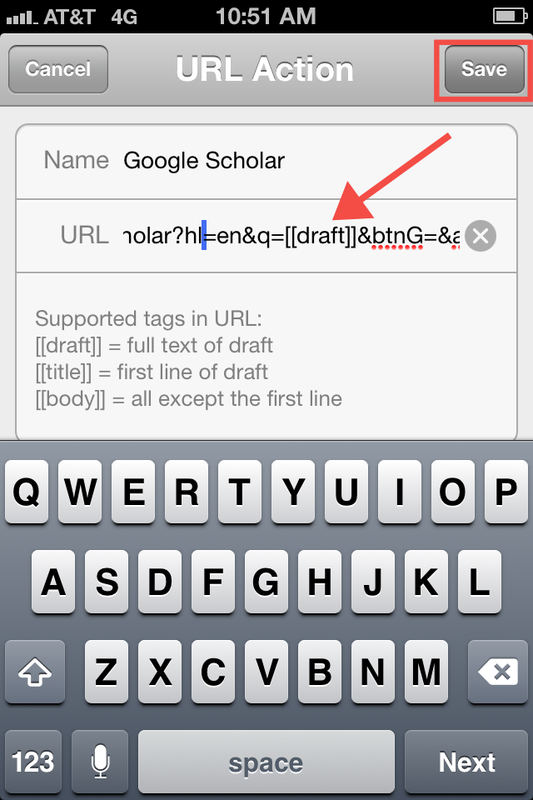 Then conduct a dummy search on Google Scholar in Mobile Safari, copy the url, and paste into the URL field back in Drafts. Next, find your dummy search term in the pasted url, and replace it with “[[draft]]” (without quotation marks); this directs Drafts to replace “[[draft]]” with whatever text you enter. Save, and your action will now appear in Drafts’ action menu. 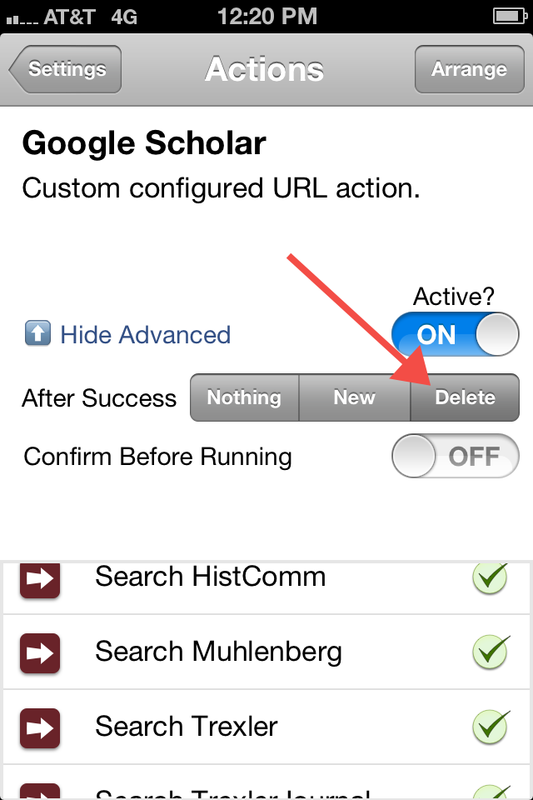 If you want to move the Google Scholar action to the top of the list, go back one screen, select “Manage Actions,” and then select the “Arrange” button in the upper right. Custom searching only scratches the surface of what the new Drafts can do. The hook into Dropbox is particularly powerful, and—as Federico Viticci has outlined in a series of posts at MacStories—iOS apps can be chained together using the x-callback-url specification. It’s also easy to set up custom searches in launch apps like the indispensable Launch Center Pro (iPhone only). I prefer Drafts for custom searches, though, since the immediate text entry saves a tap. 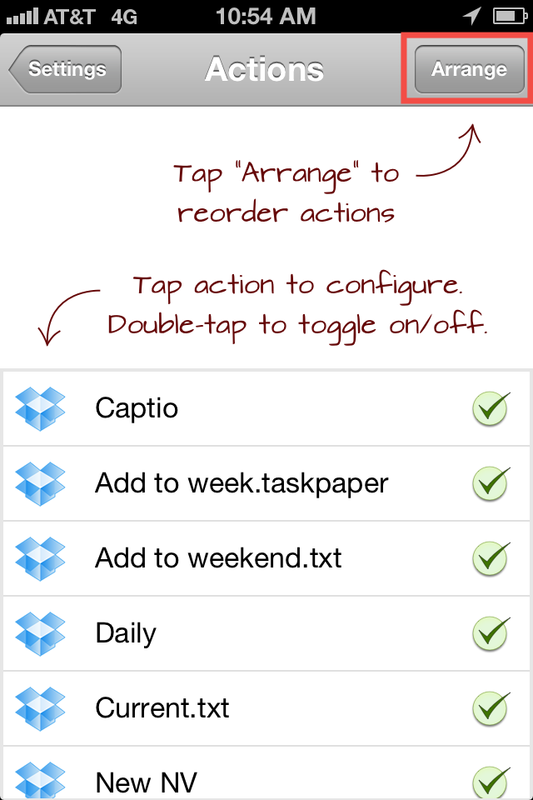 This entry was posted in Automation, Notes, Workflows, Writing and tagged Drafts, iOS. Bookmark the permalink.